I have been reading some very interesting studies about Early Childhood Development and thought you might be interested too! 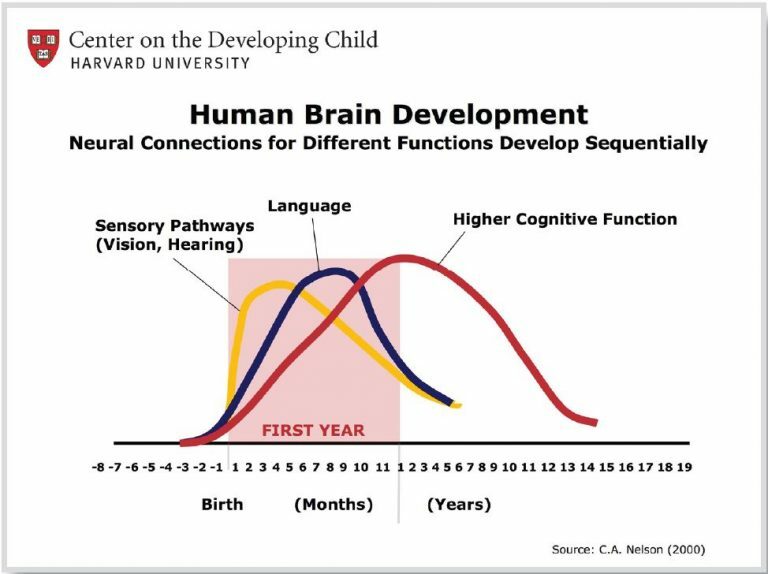 Decades of neuroscience and behavioural research have helped illustrate why the first 5 years of our life are so important in the development of our brain. Here at Kids Club we recognize the importance relationships, experiences and environments have on children’s brain development. As a result, we strive to provide high-quality learning which is reflected in our child-led learning approach and our educational curriculum. Here’s a quick summary of what I learnt about the 2000 first days of our brain. There are only 2000 days from the time a baby is born to when that child begins Kindergarten. And so much happens before he/she even starts her first school day! While the brain cells are formed before birth, the connections, the wiring that forms the architecture happens in infancy and early childhood. And how that wiring is formed, either as a strong or weak foundation depends on each child’s interactions with the world around him/her. So, what happens during these early years? Every experience a baby has forms a neural connection in the brain. Every connection a baby has focuses neural connections in the brain. Every connection forms 700 synapses/second during a child’s early years! They connect brain cells and form a network that influences everything from the intellectual capacity to problem-solving to language. The brain’s capacity for change decreases with age and is most flexible, or “plastic” early in life to accommodate a wide range of environments and interactions. Did you know that by the first year, the parts of the brain that differentiate sound are becoming specialised to the language the baby has been exposed to? At the same time, the brain is already starting to lose the ability to recognize different sounds found in other languages. We understand the importance of language development and expose children to different languages through the use of language classes and multi-cultural music. Early experiences are built into our bodies and brains for better or worse with lifelong consequences for learning behaviour and health. A child’s experiences during the early years have a lasting impact on the architecture of the brain. Genes provide the basic blueprint but experiences shape the process that determines whether a child’s brain will provide a sharp or weak foundation for all future learning behaviour and health during this important period of brain development. Through this process, neurons form strong circuits and connections for emotions, motor skills, behavioural control, logic, language and memory. During the early critical period of development with repeated use, these circuits become more efficient and connect to other areas of the brain more rapidly. While they originated in specific areas of the brain, the circuits are interconnected. You can’t have one type of skill without the others to support it. Like building a house, everything is connected and what was first forms the foundation for all that comes later. Kids Club provides repeated learning experiences which encourage children to extend upon their emotional, and social capacities through group intentional teaching experiences, play-based programs and self-help skills, building on children’s autonomy. We’ve seen all that happen during these first 5 years, it’s easy to understand why there is such urgency and why early learning is so important. The conclusions of these findings are obvious: for a strong foundation, children need quality early care and education programs that are safe and provide opportunities for learning, strong families and an environment that supports healthy outcomes. The interactive influences of genes and experience shape the developing brain. Harvard University research shows a major ingredient in the brain’s developmental process is the relationship between children and their parents and other caregivers in their family or community. Families often ask what sort of learning takes place in the younger years before children can talk. The answer is interactions. Young children naturally reach out for interaction through babbling, facial expressions, and gestures, and adults respond with the same kind of vocalizing and gesturing back at them. The brain’s architecture needs this to understand how to form strong trusting relationships and learn positive behaviours. At Kids Club we make ourselves aware of children’s needs and interests and ask how we can extend on these observations. By doing so, we implement experiences that foster the domains of development and challenge and encourage problem-solving, trial, error, and inquiry which are all key skills of the brain. For example, a child may express an interest in the life cycle of a chicken. A question will be created to explore the observed interest led by the child. 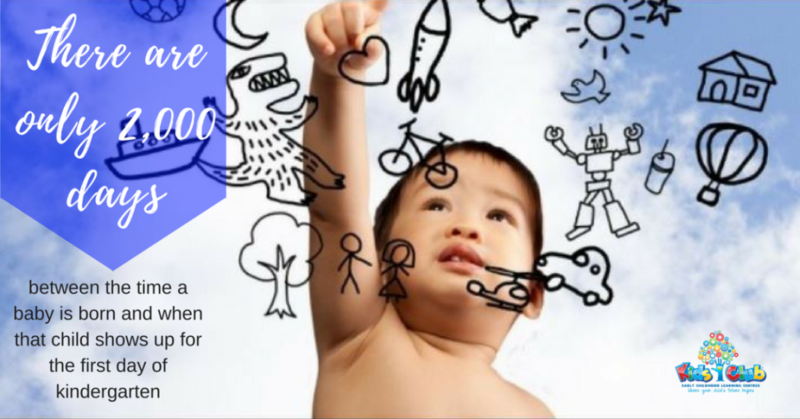 By implementing resources into the learning environment, the child will be able to explore the topic at hand, accessing different developmental areas, these may be language, emotion and visual and the way in which the child uses these domains in their experiences will depend on their age and stage of development. From these encounters, questions may arise to encourage the child to challenge their knowledge and thinking. Health in early years lays the groundwork for a lifetime of vitality. Children that participated in a high-quality early childhood learning program that included safe, healthy and child-friendly environment and nutritional components have better adult health and less adult chronic diseases. Early years are so defining, quality early learning experiences that begin at birth and continue through 3rd grade can make all the difference. A balanced approach to emotional, social, cognitive, and language development will best prepare children for success in school and later in the workplace and community. Kids club is committed to doing this through providing an educational, safe, healthy, caring, stimulating and family-oriented environment, which reflects the warm nurturing and friendly atmosphere of home. Everybody wins when children have the early experiences that they need to thrive and benefits have real economic value to the community, not only the individual. Kids Club Childcare is known for having the most beautiful Early Childhood Education centres. We believe the best start to your child’s future begins at Kids Club. A statement based on our commitment and practices in (4) key areas: Child-Led Learning, Stimulating Environments, Healthy Nutrition and Experienced Educators.